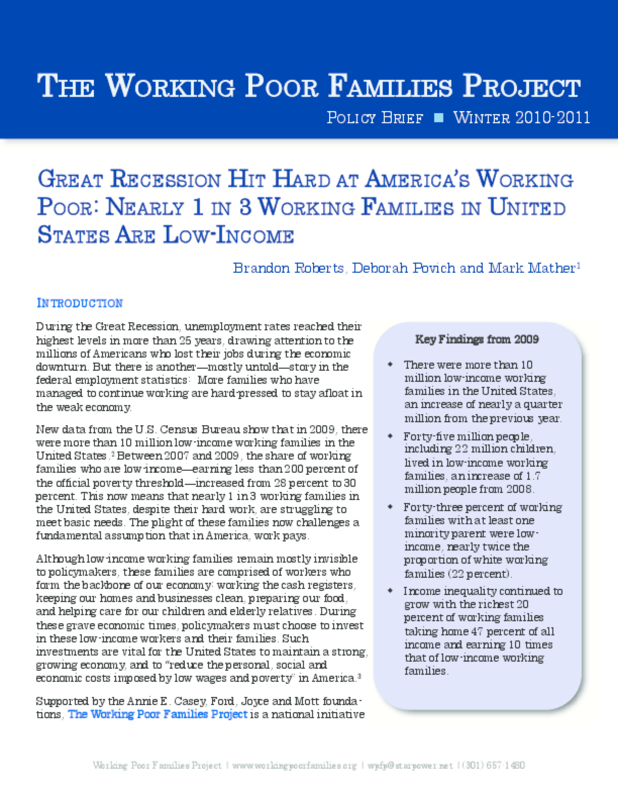 Highlights findings on the 2009 increase in the number of low-income working families and their children, proportion of low-income working families by parents' race/ethnicity, and the growth of income inequality. Discusses policy implications. Copyright 2010 Working Poor Families Project.